A framed quote by Albert Einstein that hangs on the wall of Whanganui’s temporary Sarjeant Gallery – If at first the idea is not absurd – then there is no hope for it – says it all for chairman of the Sarjeant Gallery Trust Nicola Williams. Nicola, who has headed the Trust for the past three years and been an active supporter of the Sarjeant gallery re-development project for nearly 18 years, says the quote always inspires her to believe anything is possible. Against all odds the finish line is in sight with three quarters of the $35 million accounted for. The challenge is to raise a further $9 million before the end of December to release a $10 million central Government grant from the Ministry for Culture and Heritage. 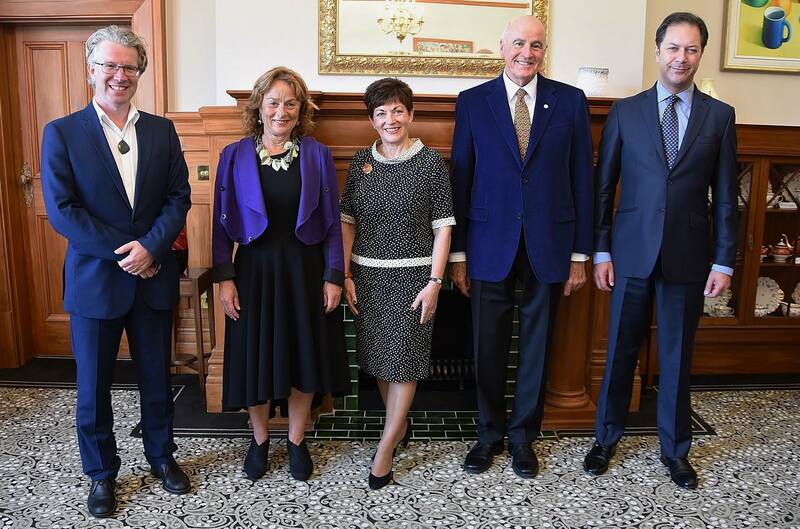 The Government funding recognises the national significance of the Sarjeant collection and the level of support from the private sector which has already contributed just over $10 million. Whanganui District Council is also contributing $5 million. Nicola makes light of her own unpaid contribution, saying a strong network of supporters, an excellent fund raising strategy, a small but effective five person Trust and outstanding gallery staff led by Director Greg Anderson have brought the project to where it is today. She says her “never give up” approach was ingrained at an early age by her mother, Pam Williams – founder of a successful Whanganui based seafood company that had trawler operations, a processing plant and an export arm. “Her efforts showed me that perseverance and sheer determination will reap results and outcomes that other people might think are impossible. “She was a hard taskmaster but gave me very good business grounding.” Nicola worked her way from the factory floor to the corporate board table, taking on the position as finance manager as a young mother in her early 30s, before being appointed a Director of the company. She shifted to Taupo in 2002. After Wanganui Seafoods was sold in 1994 Nicola took on various business development consultancy roles and remained active in the Whanganui Community. Her interest in the arts saw her take on the position as chairman of the Taupo Erupt Arts festival for eight years between 2004 to 2012. A three year stint as a Taupo District Councillor also gave her valuable insight into the workings of local Government which has been of huge help with the Sarjeant fundraising campaign. When she was approached in 2013 to help raise $34 million for the Sarjeant re-development after the project was kick-started by the then Minister of Arts Heritage and Culture, the Hon. Chris Finlayson, she couldn’t say no. Nicola says 2017 is a watershed year for the project with a lot of work behind the scenes preparing funding applications to various agencies. Existing fundraising initiatives like the Thousand Stars Programme and a Sarjeant Business Partners Initiative are being ramped up. 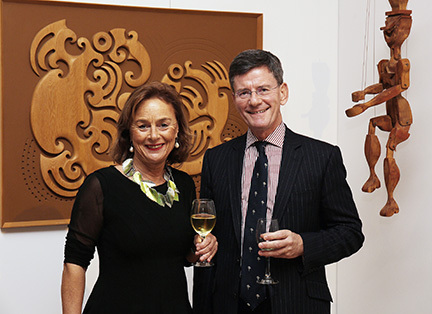 Nicola intends to spread the word on the international stage about the Sarjeant re-development and the Collection when she joins a group of New Zealand art collectors on an eight day trip to China. She is also taking up an opportunity to meet artists on the world stage at this year’s Venice Biennale. “Museums and art galleries are a fast growing sector worldwide. I believe the Sarjeant redevelopment will see Whanganui become an intrinsic part of a New Zealand cultural trail for the visitor industry”. She says a leading local businessman told her early on in the fundraising campaign that philanthropy was dead in New Zealand. “I believe we have already proven him wrong.